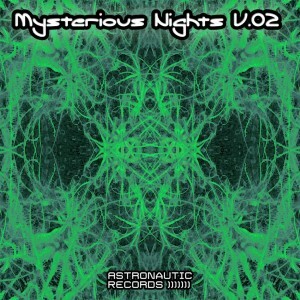 Mysterious Nights V.02 is the second label compilation from Astronautic Records, Canada. This time the focus turns more toward the peaceful and pure sounds of melodic downtempo and progressive psytrance. Float around in space and enjoy the experience of another mysterious night with this collection of stylish tunes by Ancient Core, Salvinorin, Smoke Sign, and Logical Elements. Cover art and mastering by Keamia. MP3 Download | FLAC Download | WAV Download · Download count: 10,135. Excellent! Mysterious nights is a good title — for that relaxing vibe. Been waiting for this album.. AND its so so GOOD !! .. Will recommended this on my Pods and sites. Well done Guys ! !